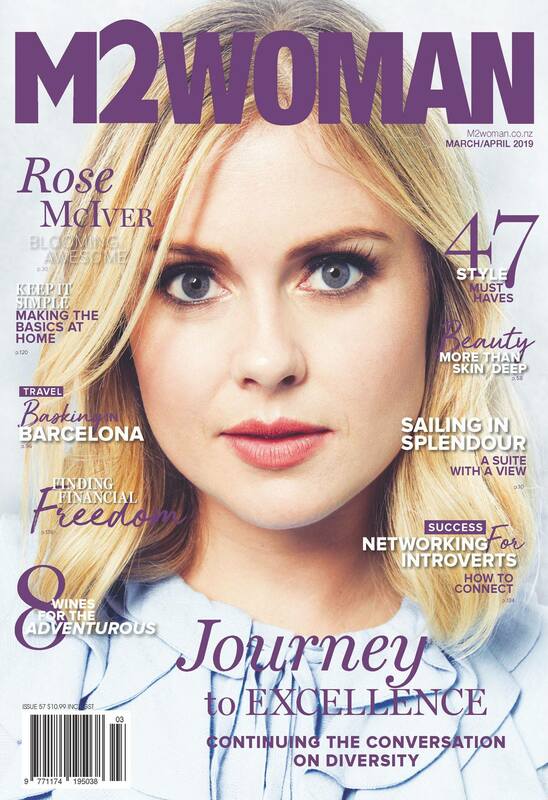 Rose has been featured in ‘M2woman‘ March/April 2019 issue. You know what they say – everyone knows everyone in little, old, bottom-of-the-world New Zealand. No matter what corner you turn, you’re always going to bump into someone you know. Being internationally-renowned New Zealander is becoming more and more of a regular occurance with our artists. When you turn on the TV and a familiar face pops onto the screen, it’s a refreshing feeling that our artists are making it big in any industry. A sense of pride sits alongside a sense of belonging. 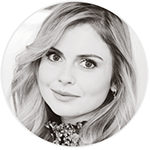 Auckland-born Rose McIver is one of those actors you see on the silver screen and are just filled with home-grown pride. She started off her acting career young at age two where she appeared in advertisements on TV and then as an angel in the 1993 film, The Piano. Next came a stream of film roles such as Charlotte Cates in Brightest Star, and Lindsay Salmon in the 2009 blockbuster hit, The Lovely Bones, to name but a few. She has even won and been nominated for some big awards both at home and overseas. Her resume is impressive and so is her acting style, she can enter a character so effortlessly. Upon talking to Rose about her latest acting project, the way about her seemed ultimately carefree and relaxed. It felt as though I was chatting with a close friend I’ve known for years, or a darling stranger I’ve just sat next to in a small, local coffee house and sparked up conversation. The fact that she is a massive name in Hollywood drifted away from my nervous ‘pre-interview’ anxiety almost immediately and I floated gently into chatting with Rose, relaxed, like talking with a butterfly dancing away from the heat of the sun. Her latest lead role is in 2019 Kiwi film, Daffodils. The story follows indie musician, Maisie (played by local songstress, Kimbra), through flashbacks of her parents turbulent romance. McIver plays Maisie’s mother, Rose; a timid yet headstrong woman who travels a rocky lineage of narrative, peppered with hit Kiwi songs that the viewer would find difficult not to be singing along to. 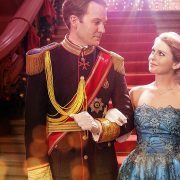 The character of Rose seems to be based on someone you or I know well. A close friend, most likely. What first attracted you to acting? When we were younger, my mum didn’t want us to take too much time off school. I think there was a short film or something that I was a part of because they needed a younger sibling to my brother, and I fell into it really and then spent our whole childhood, once a year or so, being a part of the project, but it didn’t take over my life. So, it was really when I was a teenager and I started thinking about it, it was the only thing that really made sense and didn’t feel like work. I feel so fortunate still that I work and very privileged to be a part of being able to tell stories for a living and do something that’s emotionally fulfilling to me; I know that that’s not the case for a lot of people with their employment. So, I’m still pinching myself when I get hired. How do you prepare for a character or role in an audition? If there’s a role I’m particularly excited about and it’s something I really want, I’ll work with my acting coach, Miranda Harcourt, who is a New Zealand actress, writer, director and an acting coach. She is incredibly helpful for me. She will help me find references and relevant films to watch and books to read or images to look at, pieces of art, things that can help to feed a character. We will also have great conversations about it, working out how to find the truth in the specific character and which part you associate with, identify with, and which parts you don’t. So, I work with her quite a lot when it’s something that I’m really excited about. A lot of the time it’s such a dice roll about whether you’re going to get the job. It might be about family life and so who’s playing the dad. So you try not to get too attached to something before it actually happens, because there’s any number of reasons you might not get a job. You can fall in love with these things that you might just have to let go of, so it becomes a big exercise in patience and in acknowledging what you don’t control. Do you still get nervous when you’re acting or auditioning? I can still kind of get nervous on auditions, but when you’re on set, you can’t sustain nervousness for the hours that you work in a film. If you’re doing 14, 15-hour days, it actually really helps with the nerves because it’s not like one moment that you have to be prepared for. It’s sort of weeks on end of long hours every day and, to me, that dissipates my nerves a lot. It’s more like being nervous in the lead up, or trying to make sure you’ve done the prep you need to do. It’s more stressful than nervous to me. 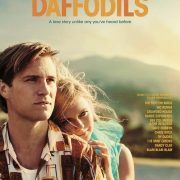 Can you describe your character ‘Rose’ in your new film, Daffodils, and how you approached her? I would say that she is incredibly resilient and a dedicated mother, and she’s from a fairly oppressive upbringing. She was, at the time, very progressive in her thinking and wanted something more than the kind of social role that she felt she had been given as a woman in New Zealand in the ‘60s. So, she is somebody I really look up to. Somebody who I think definitely had a part to play in some of the problems that happened with the communication. And I think that the expectations that we have of men and women are perpetuated by both men and women; it’s not just the way men feel about themselves that enables some of the behaviour we talk about in the film or the lack of communication, but it’s actually what women expect from men and what kind of roles women expect them to play. So, I think that, as much as she is progressive and she’s fighting the problems she sees around her, she’s on her time too and she’s dealing with the societal expectations everybody else is. In this day and age, we’re moving away from some of that stuff and it’s a long journey ahead, but yeah, there’s parts of her that I think there’s a lot of growth that is still to come for her. It’s been a really interesting, challenging, beautiful role to play and I really fell in love with her and I really felt for her, I have a lot of compassion for her character. It seems that you often play strong women. What does strength in and out of a role mean to you? I think what has happened a little bit lately in the last few years, is a desire to portray more strong women on screen. There’s been this misunderstanding that it has to be “tough” women portrayed on screen, and I don’t think that’s the same thing at all. I think strength can often be hand in hand with vulnerability and femininity, and I think that’s what I quite liked about Rose. She’s not strong in like an aggressive sense; she is resourceful, and she is tenacious and resilient and vulnerable, and I wish she had shared some of that with other people. I think that could have alleviated her circumstances. But I do think that vulnerability is something that, to me, the more self-reflective you can be and open and honest you can be about where you’re at, without fear of rejection, is the kind of strength that I hope we start to see a little bit more in both male and female characters on screen. So, I’ve been really lucky so far to have these amazing opportunities to play women with their own storylines. I think that’s probably more how I would describe the kind of roles that I played, which is not always what we’ve seen in art. Rather than being somebody’s mother or somebody’s daughter or somebody’s wife, I think that I’ve been really fortunate and played a character with their own life trajectory on screen. A big component of the Daffodils is music. How did you find that aspect? It was the most incredible experience. Working with Steph Brown and Fen Ikner [of NZ band, Lips] who oversaw the whole music side of the film combined with David Studds who directed it, it was just a free space to explore and find our own voices through these songs. There were songs that I grew up loving to listen to and a lot of my friends loved to listen to, so to be asked to put those in a film and bring your own take to those was very intimidating. I just felt very safe in the hands of David, Steph and Fen in that however they wanted songs to come across was always to serve the story. It wasn’t just about trying to mimic the originals, which were done so well the way they originally were done. It was more about telling the stories in those songs to share Daffodil and share this story. It was exciting and completely foreign to me; I’ve never done a musical film before. There was a lot of time in the recording studio, so it does add a very hectic component on set where you’re trying to record elements of it live and the timing doesn’t necessarily line up with the way that you’re seeing the scene unfold. You’re moving from one room to another and the lyrics don’t match up with the room you’re in. It can be all sorts of things, that it just adds another whole layer to work through. But ultimately, it’s really challenging and rewarding. I haven’t seen it yet so I’m really excited to see and hope that it works. How does it feel to have such a big fan base back home in New Zealand? It’s wonderful to come home. It’s funny because it’s exactly the same. I grew up here, everybody knows everybody, the nice small town feeling, especially in West Auckland where I’m from. But I think it can be a little surreal sometimes when somebody who I haven’t seen in years watches the show or things like that. But, in general it’s just exactly the same; I still hang out with all my high school friends and every now and then somebody in a coffee shop might have watched something I’ve done and that’s awesome because I’m like ‘Thanks for keeping me employed’. So it’s not something I’ve really noticed a dramatic change with. I appreciate it every time somebody watches something, I feel it’s a chance to be seen. Who would you say are the most important women in your life and have moulded you in your career? My mum is incredible, I look up to her a lot. I feel like all the good bits of myself I got from her. She’s an artist as well and she took her time finding her art career. She worked as a teachers aide and did all sorts of other things, but had this unrelenting passion to make visual art that ultimately she was able to do when she had a little bit more time and the resources to do that. I look up to her a lot and how she didn’t have the easiest set up for her. It wasn’t like she had a career in the arts built in front of her ready to go, but it just meant enough to her that she kept it going and still was an amazing mother and friend and wife and everything else that she was being. So, I look up to her a lot. I look up to Miranda Harcourt as my acting coach who, again, the way that she juggles her creativity with still being a good human being. That’s a big inspiration to me because I feel like quite a lot of the artists, they’re very self-involved really, for want of a better word. Everyone thinks that their time and their resources all need to be brought into their art and everybody else can fit in around them. So, anybody I look at who has managed to make profound work that they believe in, but also not compromise the relationships in their life, I think that’s something that I admire a lot and look up to. There was a woman called, Pat Quirk, who she was my teacher and my tutor and my chaperone. She was another person who just instilled the lifelong love for learning with me. She was kind, incredibly kind but strong of view when she asked for what she needed, without being a jerk about it. I would like to think that I try to emulate some of her attitude on film, particularly. To know what you can give and when you really need to look after yourself and your mental health. What advice would you give young women wanting to chase their dreams in any sort of career? I would say that what is so wonderful now is the ability, with smartphones and apps, that you have to create your own story-telling that can be seen by an audience, is unbelievable. There’s kind of no excuse if you want to be an actor now. To generate your own material and put it up on your own platform is so within reach and it wasn’t that way when I was a teenager, not to that extent. Films now made on iPhones can be screened at film festivals; it’s not something to scoff at. I feel anybody who really wants to be pursuing a career in acting should be practicing by making their own material as much as they can and getting involved with it. You can’t sit around and wait for the phone to ring or you’ll have lifelong misery. Now, I think there is quite an opportunity to create your own work, so I would really recommend that to young people, or any person. Even if somebody wants to start a career in the arts later on, wonderful and beautiful that you can tell somebody your story, or even better, if you’ve got years of work behind you to start exploring story-telling on things like iPhones. To be honest, it is just one of those things. I think you know when you have a feeling in yourself that you’re not resolved unless you’re sharing something artistically. You dance a bit growing up or music, there’s some sort of need for an outlet for me. It can come out in just so many different ways. If you have that hunger inside of you that knows that you want to be creating something and that you don’t feel fulfilled unless you are, you just have to listen to that voice and pursue that. And be a little bit vague about it, don’t worry about making things that aren’t great. Everybody’s stuff isn’t great to begin with. Try to be a little bit fearless about some of the rejection stuff, because not everybody’s going to like you all the time and that’s okay. But do it because it makes you happy. I don’t know to be honest. I am writing at the moment and I want to make a little film this year. It’ll just be a short film exploring some of the other ways of storytelling that aren’t just acting. I don’t ever want to rest on my laurels with one thing in my life, so I’m exploring that at the moment. Then work wise, I’m not sure. I’m just seeing. I only just finished shooting my shoot with iZombie that we wrapped two weeks ago, so I’m just happily unemployed right now and then we’ll see what’s next. If something comes up, that’s great. If it doesn’t, it’ll be a good motivation for me to try to make something.